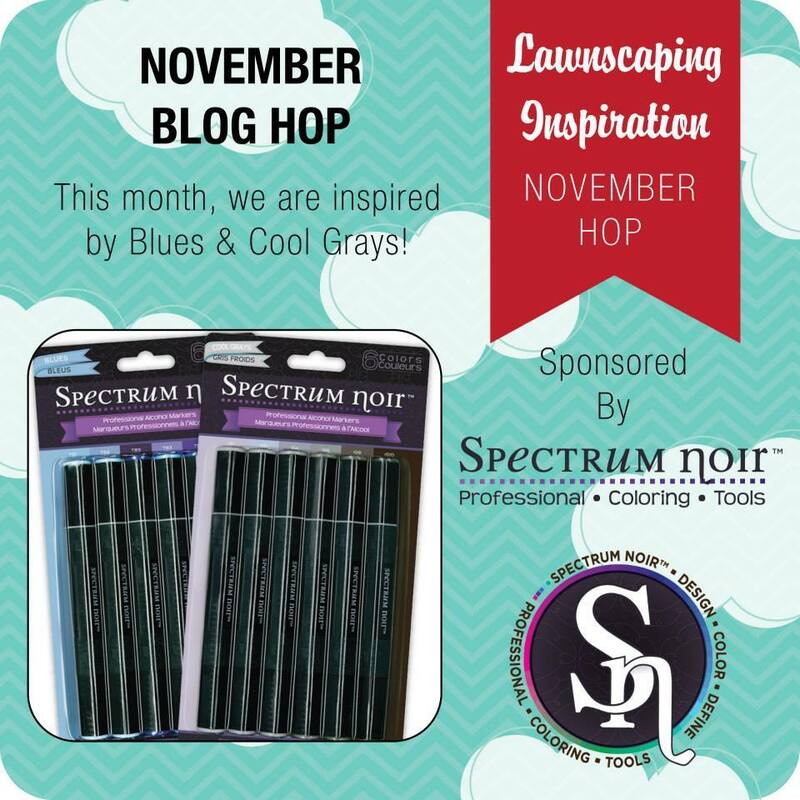 So, if you're a big Lawn Fawn fan like I am, you'll defintaley want to join this hop because you'll want to use those Spectrum Noir to colour your Lawn Fawn images :D This month we are inspired by the colours Blues & Cool Grays. Like the window opening on your card. Congrats on your wedding. My daughter's bday is 12/27. Link to your blog on lawnscaping blog gave me an error so I went to person preceding you, cut & pasted your blog and was able to get here. You may be using 'cool' colours, but your card is incredibly heart-warming! The wee chicks, nestled in the window = adorable! Your wedding is coming so quickly! EXCITING!!!! Love the bold stripes for the background of your card... These birds are too cute! You must be kidding! It's a great card, wonderful design! And congratulations on your wedding! I think your card is adorable! I always love those little chit chat birds! Congrats on your upcoming wedding. I know how hectic it can get so don't beat yourself up this is a really cute card! It just goes to show you that you don't have to spend hours on a card to come up with something fun! I love this card! I love the stripes and the cute little chicks! SWEET! I love the CAS of this card also the stripes! Very sweet card! Lovely hop! Oh my - you just can't get much sweeter than this! Love the stripes and those darling little chicks. What a darling card! Congratulations! Your little chicks are an adorable reminder of you and your groom! I think this card is wonderful! It's very cute! Congratulations to you and your groom! I love this card - the little birdies are just so cute! Best wishes for your upcoming wedding. Eeeek! I LOOOOVE this card!!!! Oh! I think this is so cute! Congrats on your upcoming nuptials . I love your adorable card! Thanks for the inspiration. adorable little birds!! And I love the lines on your background - well done! This is so cute!! I love Lawn Fawns little birds!